Remember this post I wrote on how much a Punjabi Loves their paranthas? Well it’s been picked up by Life365, a Newspaper published from Pune and has appeared in their today’s section on Travel and Food. Here is the article. Pliss to be reading! Congrats! I am curious. Did they ask you before putting it in their paper? @Ritu, Shachi, Umashankar - Thank you ! That indeed was one publishable post. I remember drooling over the description :) Congrats! Super! Congrats to you! 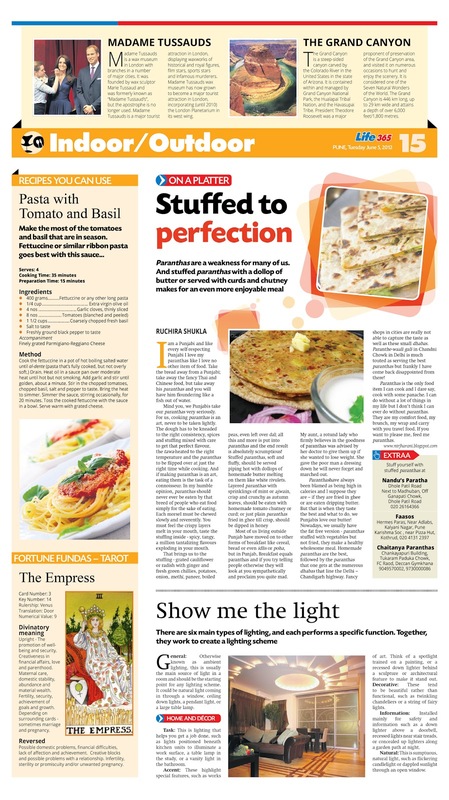 And stuffed parathas...ahh..mouth watery! Congrats, and yum :P who doesn't love a hot paaratha with melting butter on it! Canada Snapshots - A thousand Islands ! Canada Snapshots - Walking the Trails ! Hello Ji. Kiddan? Welcome to Kanedda !